Two arrested in "one of the worst cases of child neglect Citrus County detectives have seen"
Two people were arrested Friday in "one of the worst cases of child neglect Citrus Co. detectives have ever seen." Early Thursday morning, deputies responded to a home in Homosassa after a neighbor called in a well-being check on two small children. When they arrived, deputies found a clip keeping the front door of the home closed from the outside. They knocked on the door and a 4-year-old girl opened it as far as she could. 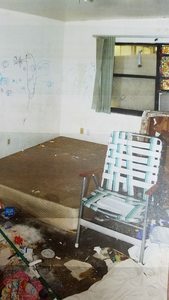 She said there weren't any adults home and the only other person inside was a 2-year-old girl sleeping on a mattress in the living room. 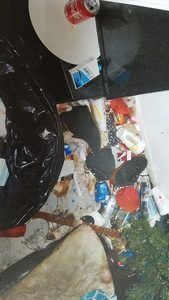 When detectives walked in, they found the home was "deplorable." 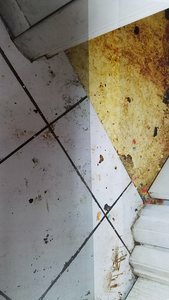 They say there was what appeared to be both human and dog feces covering every inch of the floors, cockroaches and other insects everywhere. 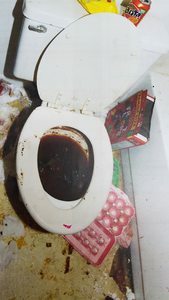 They also reported rotting food and toilets nearly overflowing with more urine and feces. 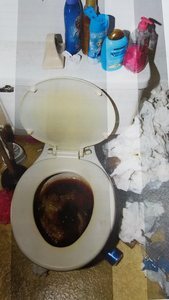 Both young girls were filthy and covered with dirt and feces. Detectives also said it appeared the girls hadn't showered in days, if not weeks. Shortly after, 25-year-old Robert Burdette and 24-year-old Casey Rocco were dropped off in front of the home by taxi. Detectives arrested them and charged them each with two counts of child neglect. Rocco was also charged for one count of domestic battery. DCF sheltered the children with a family member and implemented a safety plan for the future.